This fact indicates that the book of Revelation was probably written after the fall of Jerusalem in AD 70. Proper interpretation of the message to each of the 7 Churches will reveal that the book of Revelation was INDEED written after AD 70. Two of the seven Churches could not exist prior to that event as our study of the 7 Churches reveals. The writing of the book was most likely around A.D. 90, but the exact year is unknown. The seven Churches were located in what was then known as Asia Minor, a Roman province. This name should not be confused with the continent of Asia. Today, we know the location of these seven churches as being in the Aegean Region of Western Turkey. 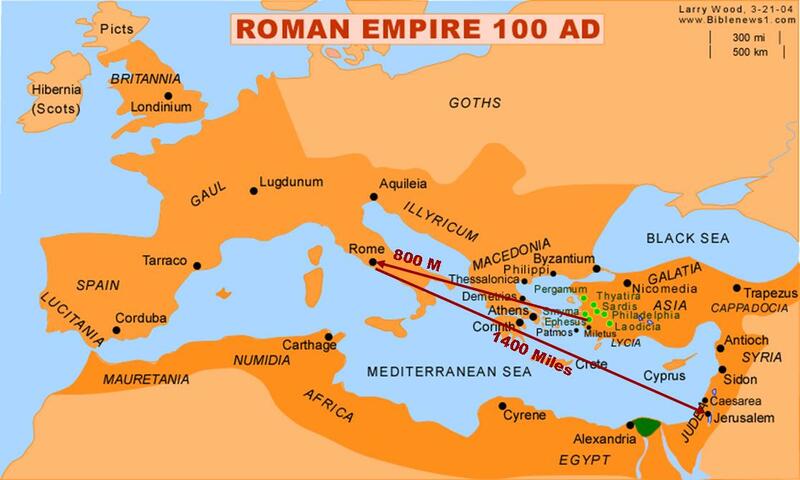 These places provided a relatively safe haven for the early Christians and were Roman cities. While reference is always made to the Seven Churches of Revelation by name, the actual churches referred to were places of worship, rather than actual church buildings. The significance of their physical location is not so much where they were located, but where they were NOT located. These churches were not in the land of Israel nor were they associated with the twelve tribes of Israel although there were certainly Jewish Christians who were members. This fact is important, because at the time of the writing of Revelation, the city of Jerusalem had been wiped out, the temple destroyed, Israel is no longer reckoned among the nations, and the Jews are being scattered to the four corners of the earth. Just how many years have passed since this catastrophic event and the writing of the Book of Revelation is open to speculation and debate, but it is certain that it was afterward. This is important, because we can conclude that at the time of this writing, God is not dealing with Israel as a nation anymore, but is dealing with the church. For forty years from approximately 30AD to 70AD God is dealing with both the nation of Israel and His Church. But now at the writing of this Book and continuing up until 1948 and the rebirth of Israel as a nation, God is dealing solely and exclusively with His people in the Church. 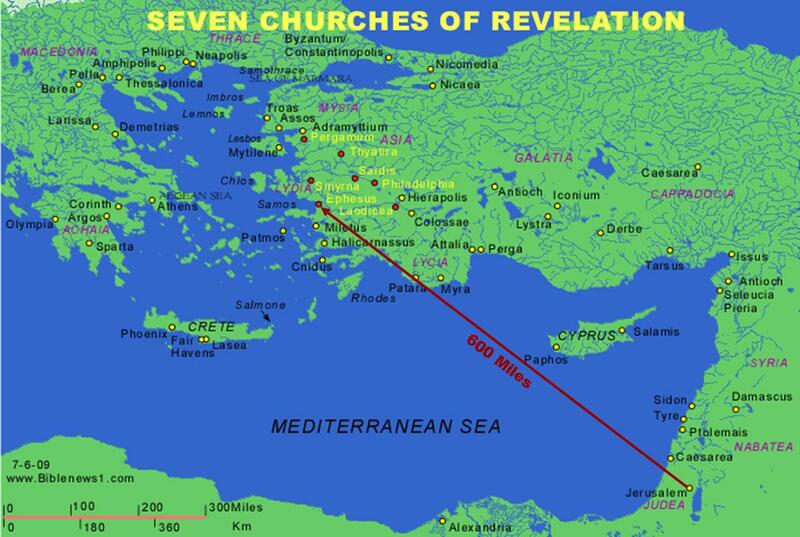 These seven Churches do not have property lines which extend into the land of Israel. His church, the mystery kingdom, is not unique to Israel, but is now comprised of both Jews and Gentiles.